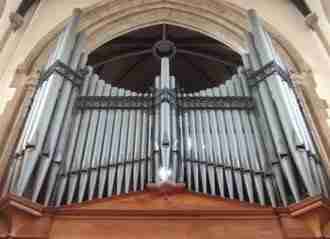 The 1912 J. W. Walker organ at The Sacred Heart Wimbledon is a rare survivor of instruments in Britain. Unlike most instruments of its era, it remains almost unaltered, retaining its original pneumatic action. Until relatively recently, the treatment of an organ retaining its pneumatic action, would have been for it to be electrified as a matter of course. Even at the time of this restoration, electrification was considered and other firms tendering for the work were advocating it. In this respect, attitudes to preservation still lag behind principles, which have been long established and accepted in Continental Europe.